Worksheet covering verbs used to talk about sport. This downloadable printable is a great resource for high school students, elementary school students and adults at Elementary (A1), Pre-intermediate (A2) and Intermediate (B1) level. It can be used for enhancing your class' Reading and Writing skills. 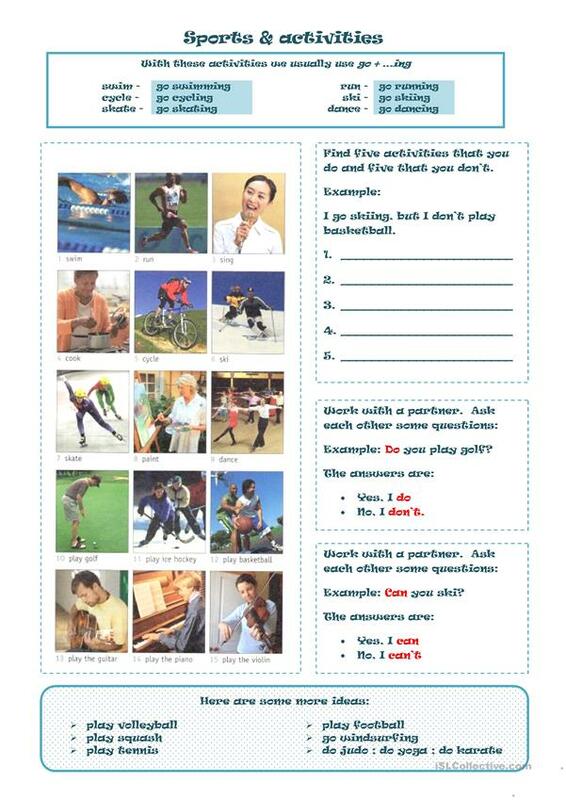 It focuses on the vocabulary topic of Sports. The solutions are provided, too.